Our specialist and professional Maternity service is designed to help and support all expectant mums and baby. This can be an exhausting and emotional time and a Maternity Nurse is able to help the mother and baby once they arrive home, until they are settled in to a routine together. We can help provide your family with expert support with Maternity Nurses, Maternity Nannies, Night Nannies, Multiple Births, and Doulas. You can be assured that we interview and vigorously vet every Maternity Nurse recommended to yourself and their qualifications and identity documents are checked by one of our trained experienced childcare consultants. Candidates will hold an enhanced DBS (Disclosure and Barring Service) check. 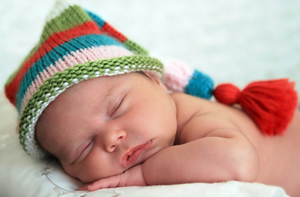 Through careful selection of our Maternity nurses, with 25 years of experience in this field, our service aim is to leave you and your baby sleeping through the night, and feeling fully prepared and ready for your baby’s next steps in life! Our highly experienced Maternity consultants will be delighted to talk you through the best maternity option for your specific family requirements. There are a number of options available to new parents, detailed below are several options which have proved the most popular and successful in our experience. Advance bookings of maternity nurses are highly recommended in early pregnancy. Stay longer in the mornings to perhaps allow you a lie-in. Night Nanny’s salary £15 – £20 per hour, depending on their age and experience and how many babies they are required to care for. We have a number of Maternity Nurses and Maternity Nannies who have specific experience in multiple births, please feel free to call us and we would be delighted to talk you through and advise you on the best care available for your individual requirements. A Doula is a woman who has had at least one baby herself, who supports other women during birth or in the weeks immediately after the birth. A Doula is present at birth and normally continues to visit the family after the baby has arrived. A postnatal Doula can also offer practical help with other siblings or simply helping with meals and some shopping. Doulas are kind, caring, supportive and physically fit. Please note Doulas are not medically trained, however they would have completed a Doula Course including birth and postnatal care. How do I register my vacancy? To enable us to start searching for the best possible Maternity care for your family, please be kind enough to complete the registration form on the right hand side of this page, it only takes 5 minutes, and we will then forward you suitable candidates for your perusal in view of arranging interviews at your family home. If you would prefer, please fill in our call back request email, and we will be in touch with you straight away. May we remind you registration is free, a fee only becomes payable once you have committed to employ one of our Maternity Nurses.